The number of Maragheh Fossils is 3,000, of which 1,500 fossils were sent to US for research, the environment chief said. Vice President and Director of the Environment Protection Organization Masoumeh Ebtekar said Sunday that Iran has emerged victorious in a decades-long legal dispute with the US over the return home in the near future of a number of Iranian fossils. “A good piece of environmental news is that Maragheh Fossils belonging to various terrestrial eras, which are among the most precious of their kind in the world and were sent to the United States before the victory of the revolution for academic studies and kept at Harvard University return home,’ said the vice president. 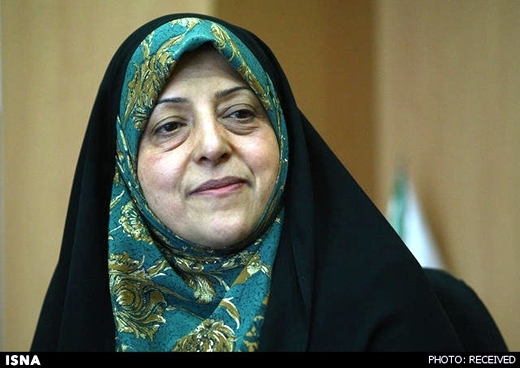 Ebtekar told media editors and political science students said that the return of those precious fossils to Iran was held up for four decades due to certain problems. “The long-running environmental (legal-archeological) dispute between Iran and the US on unearthing, collecting and coding the samples of Maragheh Fossil Site led to filing a complaint at the Hague Court of Justice and pursuing it in a very complicated, tough, legal process, which fortunately led to a happy ending,” said the environment chief. Ebtekar said that his organization and Harvard University are arranging for a ceremony in the presence of Iranian and US researchers and scientists in which Maragheh Fossils will be unveiled before their return to Iran. “A part of those fossils will return to Iran within weeks and will be delivered to the Museum of Natural History and a part of them to the Maragheh City Fossil Studies Center,” Ebtekar said. Ebtekar said that in America the Iranian fossils were put on display in exhibitions, used in research works, and even numerous scientific articles about them were written in very reputable US and other foreign magazines. “A part of the Iranian archeologists’ studies and surveys for the return of the Maragheh Fossils were based on those articles, images and research,” she added. The environment chief said that the number of Maragheh Fossils is 3,000, of which 1,500 fossils were sent to US for research and the remaining 1,500 fossils are kept in the Iranian Natural History and Environmental Diversity Museum. “Although Maragheh Site is one of the most precious fossil study and research sites in the world and the 8th government (of President Mohammad Khatami) made serious efforts to turn it into a modern research center, unfortunately due to many years of negligence the plan was halted,” she added. Ebtekar also emphasized that Iran has very precious fossil sites, reiterating that those fossils can serve as the basis for joint research by Iran and the United States, or Iran and the rest of the international community.